Join us in our commitment to turn childhood dreams into reality by supporting THONTM. Our committee, Technology Test Org--- DO NOT DELETE, is taking action by uniting with 16,500 student volunteers and over 25,000 alumni supporters in the fight against childhood cancer. Our year-long efforts culminate in a 46-hour, no-sitting, no-sleeping dance marathon each February to celebrate our survivors, remember those we’ve lost, and take a stand--all in hopes of one day dancing in celebration of a cure. THON Committees play a key role in helping THON fulfill its mission of conquering childhood cancer. 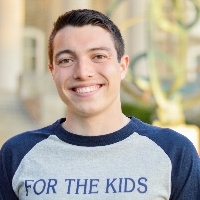 As Committee Members, students plan for and attend THON events as part of a team dedicated to making THON a success year after year, Technology Test Org--- DO NOT DELETE, plays an integral role in the continued success of THON.